The boys have started 2018 off with a bang! 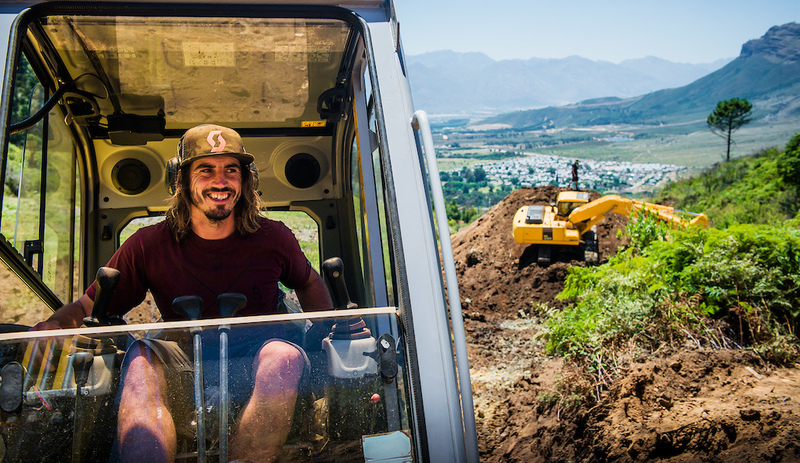 Breaking ground at a new location for DarkFEST in South Africa and in true Fest style going bigger than ever before! 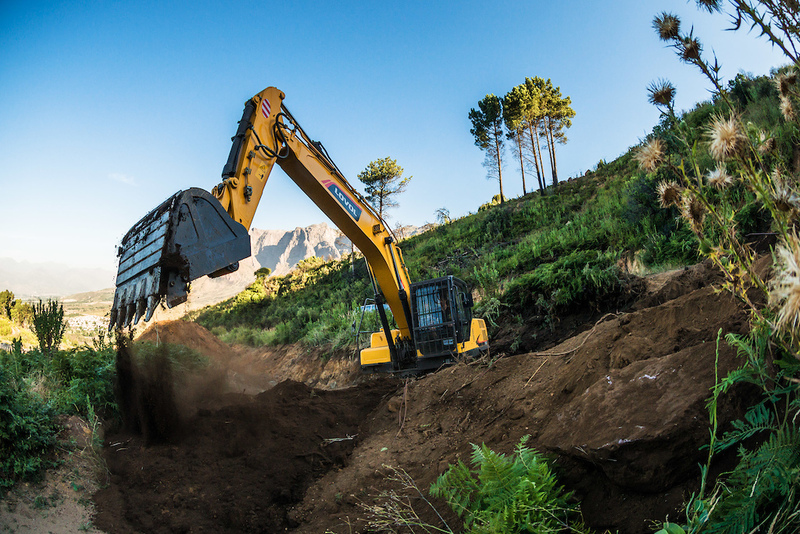 The first digger's teeth sunk into the beautiful mountains in Stellenbosch on Monday morning, since then if you blinked you'd miss a feature being created. The dream team of Clemens, Nico and Sam are amazing to watch. Clemens the operator, is chief of piling the massive landings. 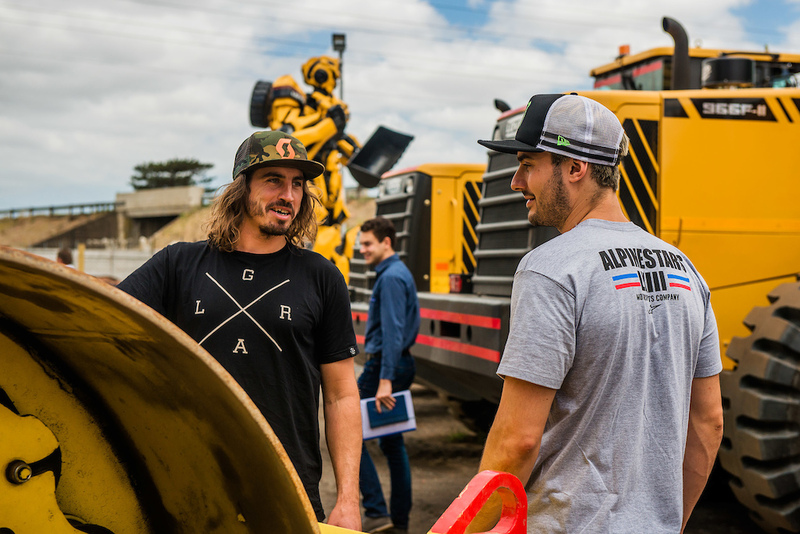 Nico is the shaping perfectionist in the 5 ton and Sam is sight foreman, making sure the boys are comfortable and everything runs smoothly. Being mid-summer in SA, the temperatures have been in the mid to high 30's, which makes the midday shift a sweltering one, so lots of trips to dams and pools go down during lunch to cool off and recharge for the afternoon shift. 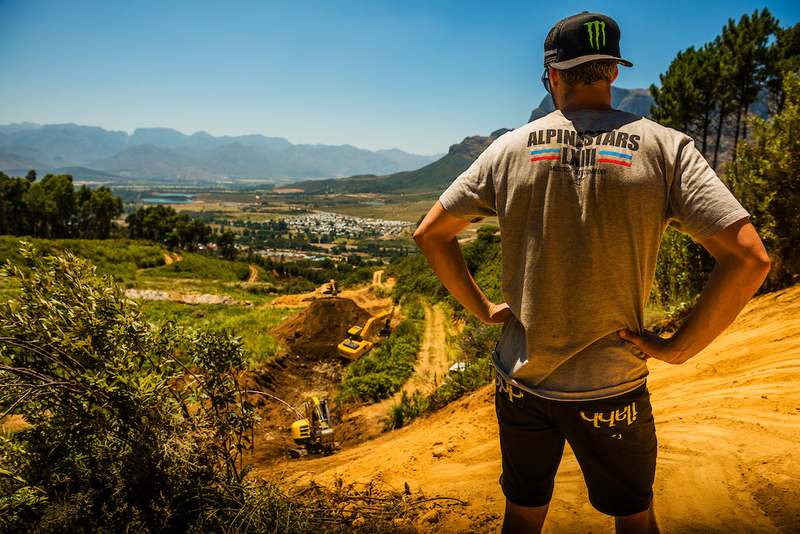 The dirt is like powder in the heat, so is a bit tricky to shape things, but with the drought in Cape Town at the moment the water usage has to be minimal, so we're hoping for some rain to sprinkle over the course and help us out. 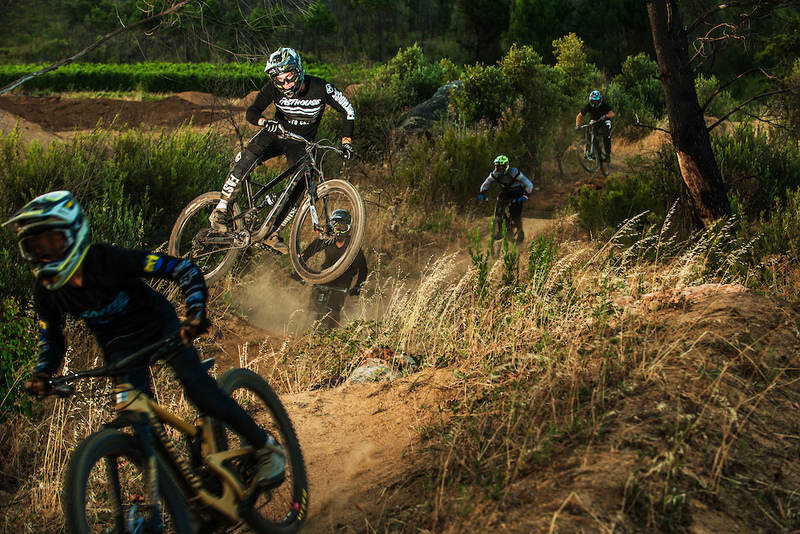 The progress this week has been really good so the guys have rewarded themselves with a few trail rides with some of the locals, followed by a mandatory braai, beers and red wine. 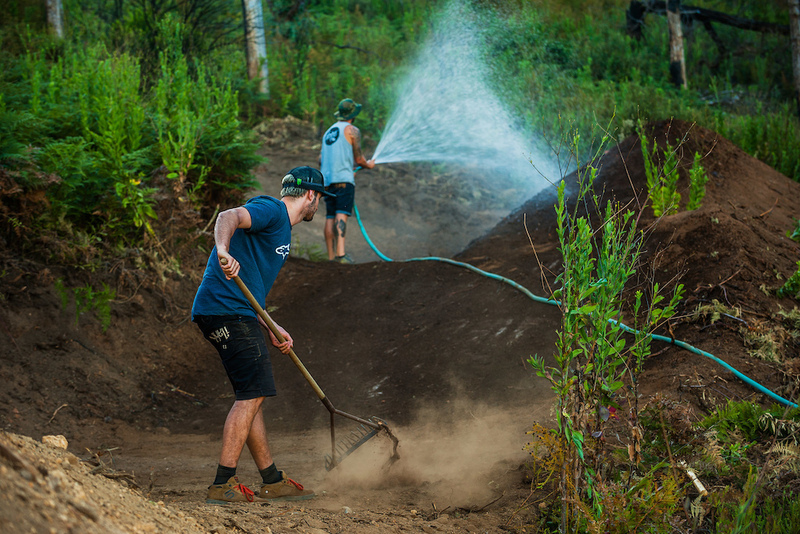 Another 3 weeks of building before the rest of the riders arrive, so lots of dirt to still be moved. We'll keep checking in with weekly updates on the progress, so keep an eye out, these boys have something special on the way! It's so that they can build jumps big enough to get to the Dark side Of The Moon. @bigtim: Aparently there is a hole in the darkside of the moon, but cant prove it? If you really don't care about ebikes why would you mention ebikes on an article which has nothing to do with them? 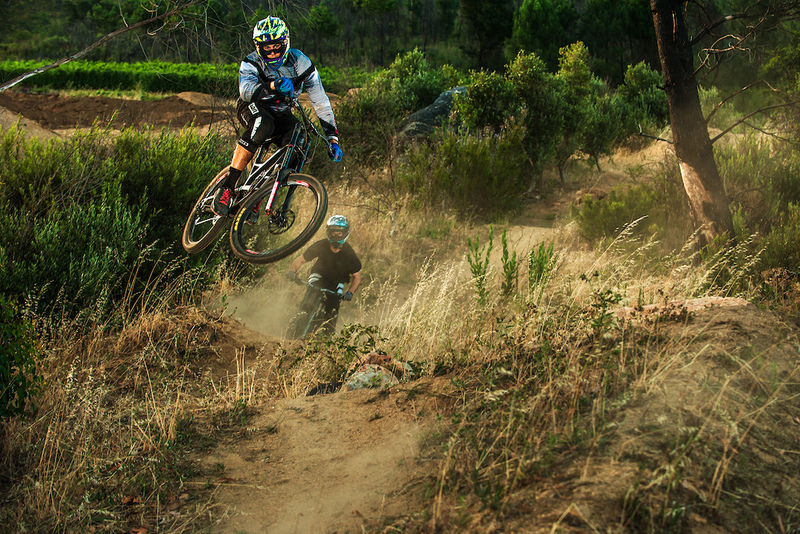 NewsFlash: FakePro's on e-bikes don't use batteries to get *down* the mountain. Not to mention the shuttles used by the RealPro's. @Patrick9-32: But how good would it be, to be able too hit a 80foot double with out needing a super steep run in? @aljoburr: you know mobilitE bikes (supposedly) cut out at 16mph riiiiiiiigghht..........? @aljoburr: how do I know what? That an Ebike ain't gonna clear an 80ft gap with a flat run up..........? Nothing beats the Fest series. “My favorite jump is like 70-80 ft” yeah as long as the lander is at the hospital. I'd pull the biggest Dead Sailor ever seen. Is there a yellow transformer on the second pic? 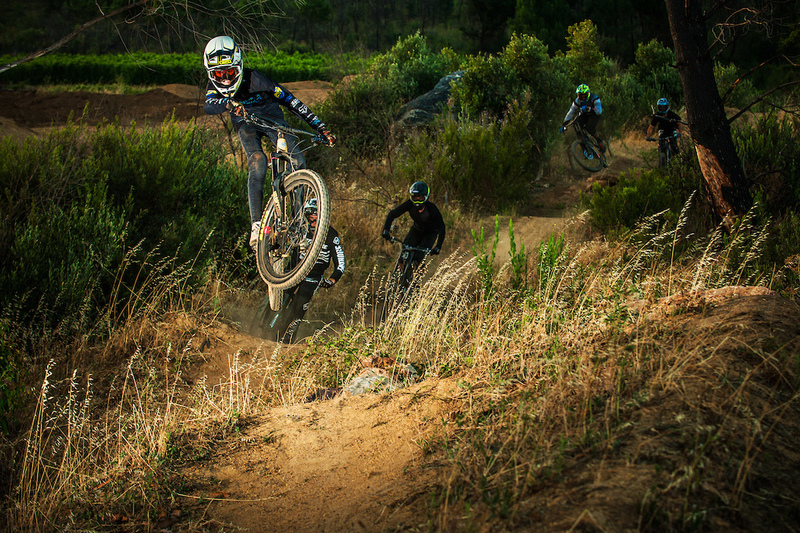 Nico Vink is Candide Thovex of biking! Such a legend. Yeah, I see the likeness now you mention it. His demeanour. Have you seen "of few words" his documentary film. One of the best extreme sports movies I've ever seen. Yes! More psytrance and big jumps! This should be called the "Sunshine Fest" Its hot as hell here right now! The riders are going to get their brains fried in more ways than one. Screw the family vacation, I`m buying a mini digger ! This is scary just to think about!!! wow !!! this is going to be so rad ! i want a go! The FEST will be a FEST!!!! Ride or die!!!! So how fast do you need to go to clear an 80 foot double?